Hedges Suitable For Chalky Soil - Hedging Plants That Grow On Chalk. Chalky soil is alkaline in nature and often can be very thin making it susceptible to excessive drying out during the summer months. Browse our list of plants and hedging suitable for chalky conditions. Our list of hedges suitable for chalky soil is one of the longest on these information pages so there is no shortage of choice! For the best results do try and incorporate plenty of organic matter before planting to hold water - and remember to mulch after! 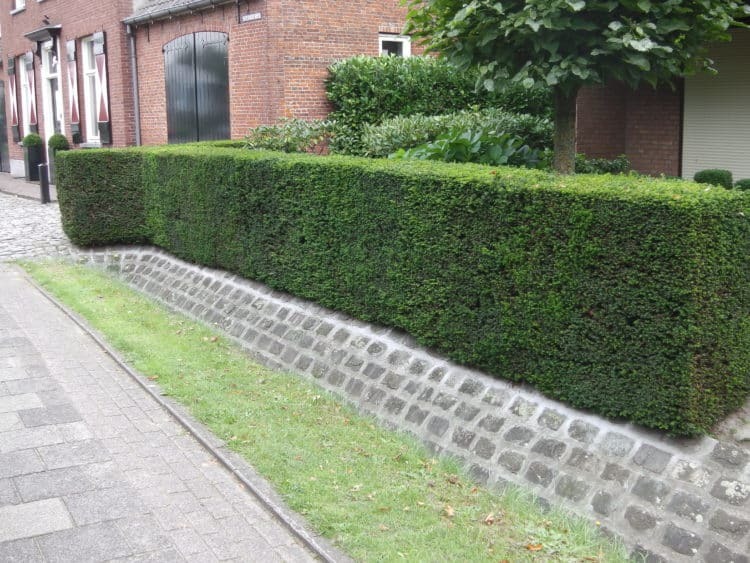 Hedges Suitable For Chalky Soil – Chalky soil can make for difficult growing conditions for many hedging plants and shrubs as the topsoil layer may be particularly thin and prone to drought during the summer months. It is important to find out how deep the soil is above the chalk as it can affect the drainage and nutritional levels in the ground and it is pointless trying to change the conditions totally so it is best to adapt and grow plants accordingly. To improve the situation, it may be helpful to bring in new topsoil if the layer of soil is very thin and perhaps by adding well-rotted garden compost or farmyard manure as well as the addition of mulch when planting you will be surprised at the results. By incorporating organic matter into the soil and mulching, water will be conserved and one of the biggest difficulties of growing on chalk (lack of water) is avoided. There are so many hedges suitable for chalky soil that it is almost easier to list those that wont grow! Of the most popular hedging species that are not suitable the best known is Cherry Laurel. When planted on chalk they tend to become rather pale, yellow and chlorotic and as a hedge – pretty unsuccessful. 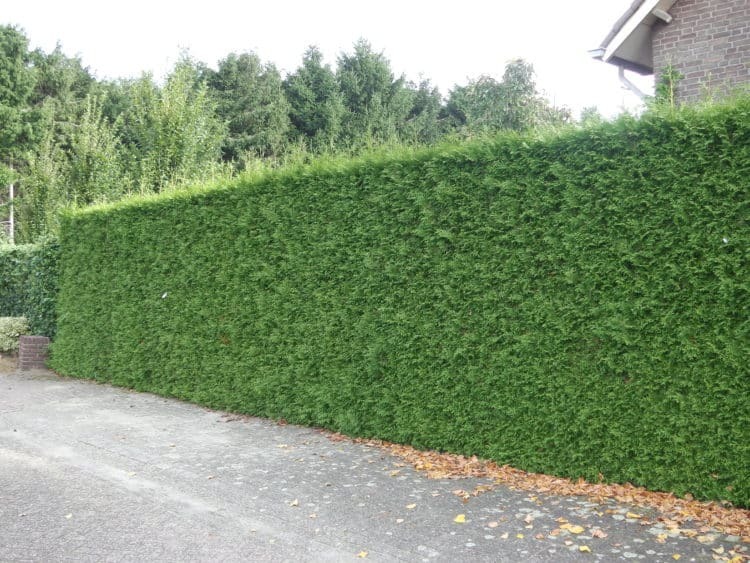 Even then help is at hand because the handsome and versatile Portuguese Laurel hedge will thrive, although this Laurel hedging variety does have a slightly slower rate of growth it will comfortable grow into a hedge of similar proportions. Pretty much all of the other important hedging species are hedges suitable for chalky soil, for example Beech, Box, Hornbeam, Thuja, Privet, Yew, Hedging Roses, Lonicera, Lavender and Euonymus hedging varieties to name just a few. We also stock our very popular Mixed Native Hedging in a wide variety of mixes. These are also hedges suitable for chalky soil and many of the plants we include are often seen growing wild on chalk based landscapes, especially the Wayfaring Tree, Hazel, Quickthorn or Hawthorn and Field Maple hedging plants.